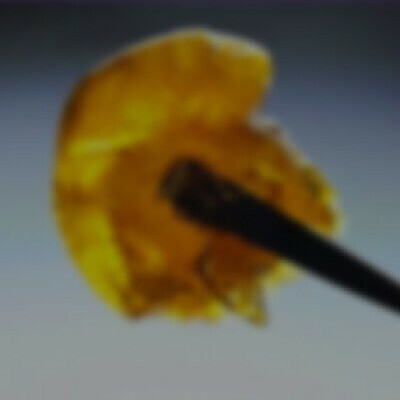 Two fabulous strains crossed together to make one tasty potent extract! Alpine OG x Lemon Skunk! Tahoe O.G crossed with Viper City O.G makes up the Alpine OG. The resin of this mostly Indica strain is more than average with sweet piney aroma and taste. Lemon Skunk was conceived from two separate Skunk phenotypes that displayed exceptionally zesty lemon traits. The skunky, citrus flavor draws you in immediately, and the happy, energetic buzz will shake you out of any funk. DNA Genetics has developed Lemon Skunk as a great strain for combating depression and stress.